Siobhan Coakley Wins Honda Civic for a year and €3,000 at McElligott's Honda Best Dressed Lady 2018! 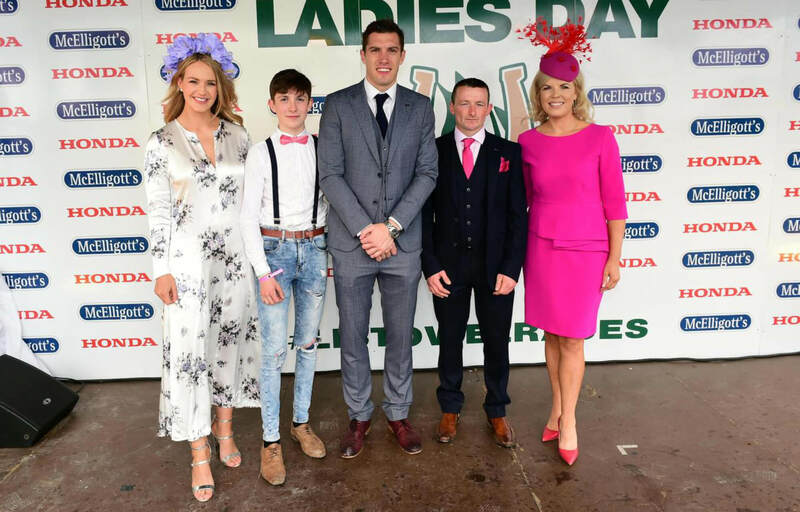 Siobhan Coakley, from Gneeveguilla, was announced as the McElligott's Honda Best Dressed Lady at the Listowel Harvest Races on Friday 14th of September. Judged by actress and presenter, Aoibhin Garrihy and fashion MC and stylist, Marietta Doran, Siobhan won a Honda Civic for a year and a cheque for €3,000. Resplendent in a super stylish blush pink brocade suit from Topshop with a matching headpiece by Kerry milliner Aine Kremenskiene, Siobhan was presented with her prize by Patrick McElligott, Managing Director of McElligott's Tralee. First runner up was Joanne Foley, from Glin, who received €1,000 and second runner up was Niamh O’ Doherty, from Newcastlewest who received €500. 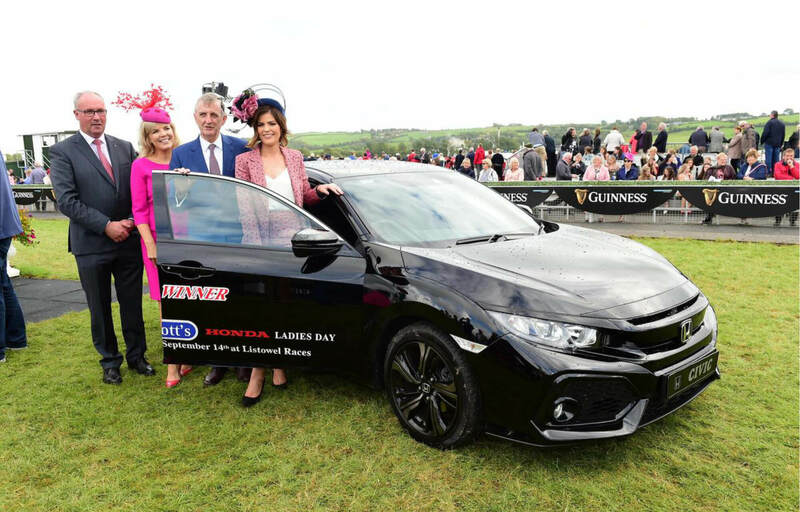 This is the 4th year of the McElligott's Honda sponsorship of Ladies Day in Listowel, and it was attended by huge crowds who enjoyed serious racing and serious fun in the warm September sunshine. 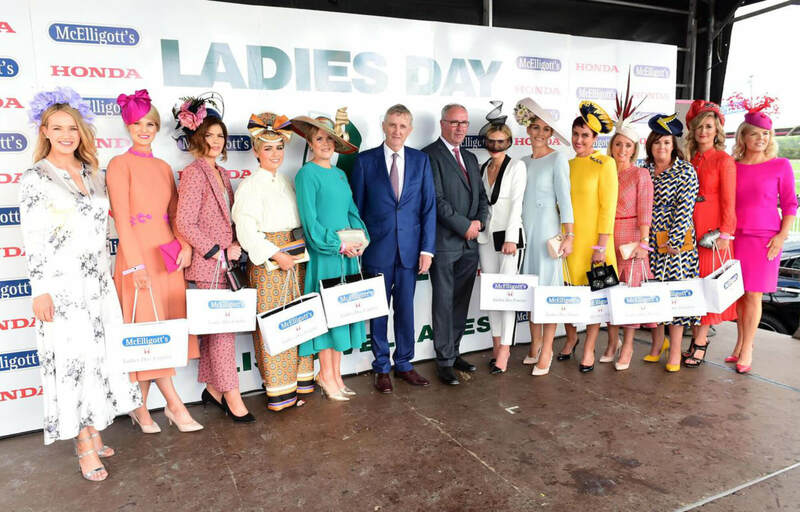 The McElligott's Honda Ladies Day has established itself as one of the premier ladies day on the Irish racing calendar and has a total prize fund of €6,500. For more visit www.listowelrace.ie #listowelraces. 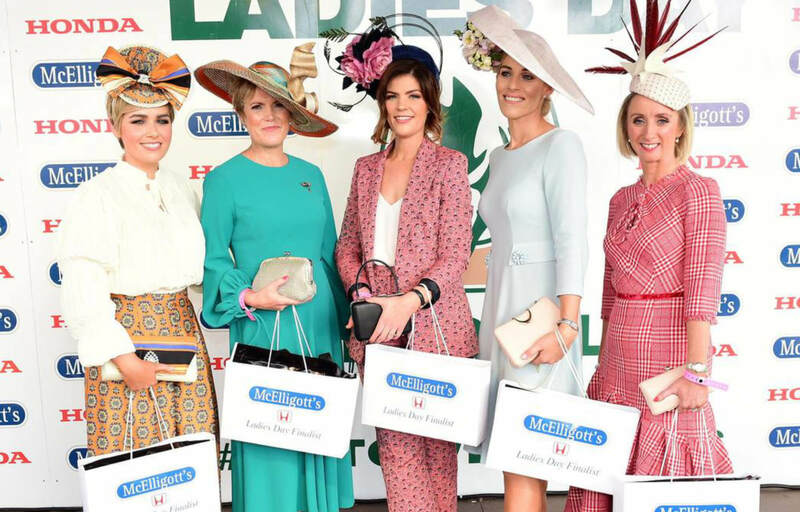 Winners in other categories included Moira O’Toole, from Kilkenny, who won the McElligott's Honda Most Iconic Lady and received €300 and Aoibhne McElhinney, from Whites Cross, Cork, who won the Jazziest Headpiece (which she made herself) and received €500.